Good habits start at home, which is why we have always tried to engrain a sense of philanthropy into our children. We have brought them to our quarterly skid row outreach since they were young teens and always reminded them to give back to those who are less fortunate. Learning the importance of charity and volunteer work at a young age can prepare children for a lifetime of giving back, but finding fresh ways to get children and teens interested in philanthropy can be a challenge. Here, we’ll share some online organizations that you can use to help match your child or teen with an organization that they want to get involved with. DoSomething.org – Do Something is a website that will link children and teens to charitable organizations based on their location and interests. Tasks range from donating band aids to homeless shelters to sending Valentine’s Day cards to the elderly. This is our personal favorite because many of these tasks take no longer than 10 minutes. 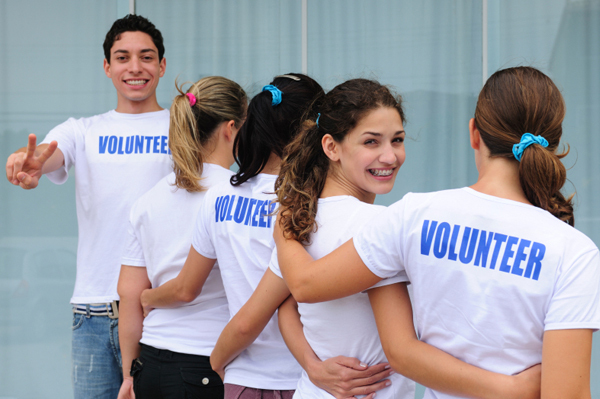 Children and teens can do more than one project at a time and it shows them that volunteer work can truly be fun! VolunteerMatch.com – Volunteer Match specializes in matching both children and adults with the organizations they are passionate about. LaYouth.com/volunteering – LA Youth’s main specialty is placing teen volunteers in hospital volunteer programs. Perfect for those teens interested in a medical field. We here at the Maize Foundation are committed to the next generation of America and we hope these sites can help you on your path to introducing the world of philanthropy to your children as well!